Alex Story confidently announced as long ago as September that he was delighted to become the new Conservative MEP for Yorkshire and the Humber. There was one slight problem for the former Olympic rower. He had not been invited to take the seat which had become vacant when David Cameron sent his party's previous MEP, Timothy Kirkhope, to the House of Lords in his resignation honours list. There followed weeks of claim and counterclaim which must have completely baffled those who hold the simplistic view that in a democracy the local electorate decide who will be their member of parliament. What has emerged is that when it comes to the European Parliament things are a bit more complicated than that. 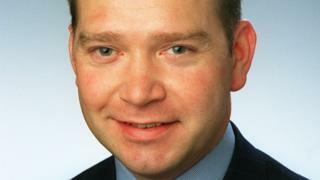 After weeks of wrangling, John Procter, a Leeds city councillor, has now been chosen to become the new MEP. The choice was made by the Conservative Party with no need to bother asking for a new vote from any of the 1,296,701 people who turned out in Yorkshire and the Humber at the 2014 European Elections. The party had that power because at the Euro elections we vote for a party not an individual candidate under a system of proportional representation. Under the EU election rules the party keeps the seat even if its choice at the time has to step down before the end of their five- year term. That can be puzzling for a UK electorate used to the "first-past-the-post" system of electing MPs to the House of Commons where a by-election is triggered if the seat becomes vacant. So why did Mr Story think the Conservative Party should hand the seat over to him and not the choice it eventually made? He was so convinced that he went as far as applying for a High Court injunction in what turned out to be a vain attempt to stop it being awarded to anybody else. He based his claim on another bit of the European Parliament election system which is unfamiliar to UK voters: the "list system". Before the elections each party draws up a list of candidates chosen by local members and ranks them in order of preference. In 2014 Mr Kirkhope, as the sitting MEP, held first place on the Conservative list for Yorkshire and the Humber and was re-elected to become the region's only Conservative MEP. Mr Story was in second place on the party's list and Mr Procter third. In most circumstances the list then becomes a piece of almost forgotten party political history. It is only dug out of the filing cabinet when an MEP steps down because under the rules a replacement has to be one of the "also-rans" on the list. Mr Story assumed he would be given the nod because he has been the official second-placed candidate in 2014. He reacted with a mixture of anger and frustration when he was passed over. Party managers told me it was up to them which candidate they chose and Mr Story was ineligible because since the European elections he had been given a poor "report" for the way in which he fought the 2015 UK General Election when he unsuccessfully stood for one of the Leeds seats. As a result he had not been retained as a potential candidate for any future elections and that included being picked to take up the vacancy as an MEP . It was put to me that this was a fairly routine decision fully complying with all election rules and the handover would be speedy and straightforward. In the event a time slot which had been reserved for an announcement to be made at the party conference came and went. Weeks went by until a High Court judge decided not to give Mr Story the injunction which could have led to a judicial review. The irony is that Mr Story was a leading Brexiteer during the Referendum campaign so has been fighting to take a job that he has ultimately helped abolish. All this begs another question. If the party keeps a seat when a sitting MEP steps down how can it lose one when an elected member switches party? Step forward Amjad Bashir who was one of the top three from UKIP's list who were awarded Yorkshire and the Humber seats after the party's barnstorming result in 2014. He has now now defected to the Conservatives but, apparently, in those circumstances the candidate keeps the seat.